Need A Zipcode Directory You Can Import To You Own Solutions? Calculate Distance Between Two Zip Codes!!! You'll be able to export the entire 43,000+ record zipcode directory to anywhere you want! There are a number of zipcode directories for sale but none of them give you all that we do and very few let you own the data to use as you like. You read it right. 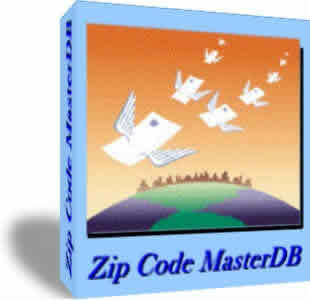 Zipcode MasterDB is a software directory of over 43,000 zipcodes that you can search any way you like. The outline format of the program makes it very easy to find the information you need. You can also search on area code, city and state. But beyond that, you have the ability to export 100% of all this information to your own files. So you not only own a copy of the program. You own the data as well. And because we update the information monthly, you have the most recent data possible! I personally guarantee that you will be absolutely delighted with your software. In fact, I'll give you 90 days to try out anything on this website on me! And if you are not 100% satisfied at anytime in that first 3 months, just return the product for a full refund!